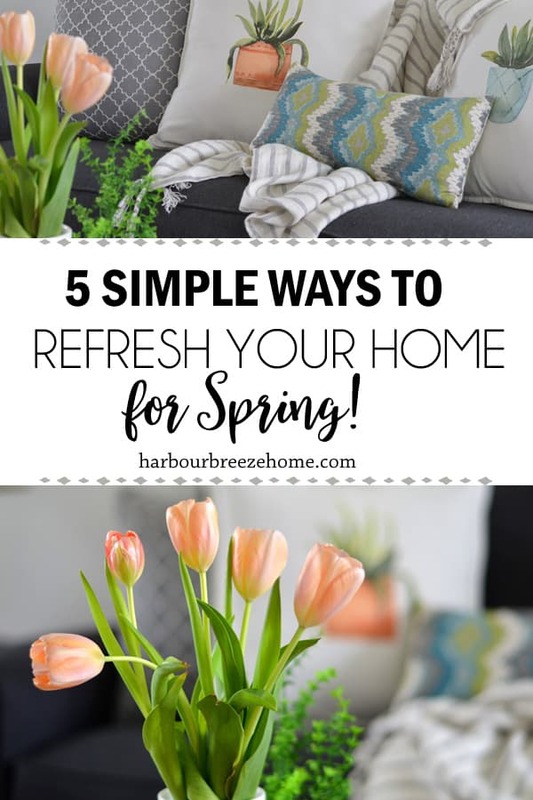 In this article: Your home will feel like a new place after you try out these 5 simple & affordable ways to refresh your home for Spring! Spring arrived overnight in our neighborhood. Gone was the gray sky, and out came the sun and flower buds! With the change of each season, I find it’s also a perfect reminder to freshen up the house as well. 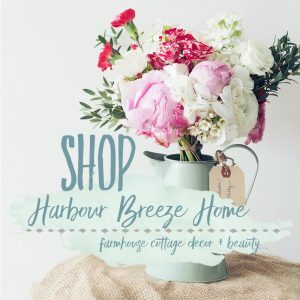 When I asked my Instagram friends what their biggest challenge was when decorating their home for Spring, the most common answer by far was: money!! Well, my friends, refreshing your home doesn’t need to require a lot of money. In fact, it can be done without spending a dime if you choose to do so. 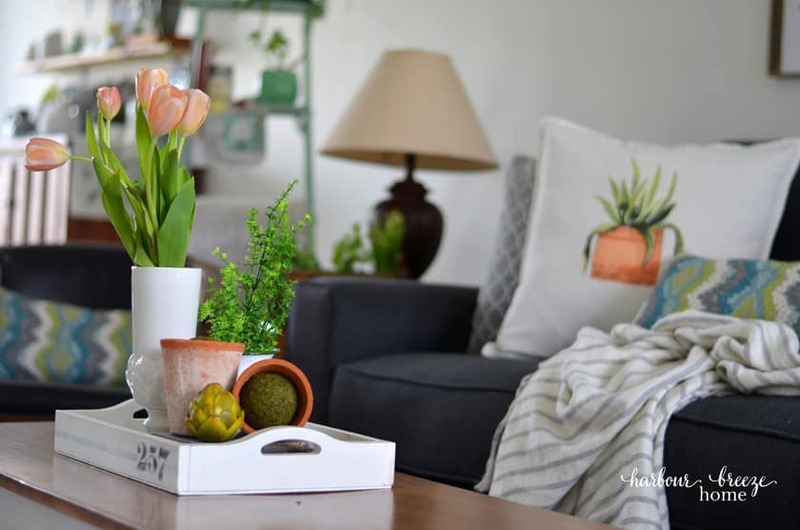 Here are some of my favorite ways to breathe fresh life into tired rooms. I’ll totally admit that although I like to keep the house tidy, I’m not a deep cleaner on a regular basis. The sunshine bouncing off the dust bunnies under the couch is very motivational for me when Spring arrives. Pull out your favorite cleaning gear, put on some fun music, move quickly, and spiff up your room. Move all the chairs and small furniture out of the room. Shake out small rugs outside and leave them set them aside while you clean the floors. Vacuum the floors well, using the attachment to get into the corners. Mop with your favorite mop system. Clear off all surfaces from nick-knacks and what-nots. Take them out of the room if possible. Clean and dust all surfaces well. If you are a fan of candles, pull out your favourite Spring scent (mine is lemon) and light it. Now look around. Doesn’t your room already feel much more fresh and inviting? Sometimes the biggest impact on a space is removing some of the items. Particularly in the Spring and Summer, it is nice to have areas that feel spacious, open, and airy. Removing items might be the perfect way to achieve that feeling. Nothing will make your space feel more fresh and new like rearranging the furniture. Put the couch on a different wall. Swap out occasional chairs for a pair that are in the bedroom. Use a dresser as an entryway table. Rethink the furniture in your whole house and play your own “mix it up” game! Remember how you took out all the nick-knacks in step one? Now’s the time to address them. 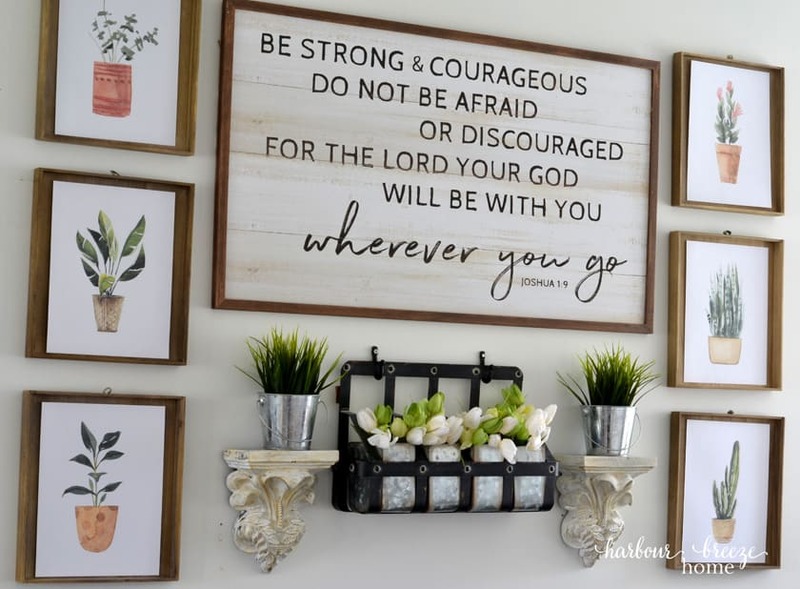 Look at your decor items closely. Ask yourself if you still really love each piece. Does it still feel like your style? If not, you might want to consider donating it or selling it on a local buy and sell site. Funds made on things you sell can help you purchase decor items you love right now. Also look at the overall items in each room. Now is a good time to assess it all. If you don’t love it, or find you no longer need it, get rid of it! Getting rid of extra clutter always makes a space feel more welcoming. At this point in the process, I go to my seasonal decor closet and other rooms and pick things that I think would give a fresh look to the space. Many decor pieces are ones I’ve had for years, but arranging them and placing them in different spots makes them feel fresh and new again. Also, don’t forget to look in your kitchen for fresh, new decor. White pitchers and bowls and floral teacups are a great options for Spring and Summer. Adding in natural elements to a room always gives it more life. You may have some greenery in your backyard that you can clip. Branches with buds are beautiful, as well as tulips, daffodils, or ferns. If you don’t have those things at your fingertips, look at your local grocery store for a bunch of tulips or fresh Spring florals. They’ll cost less than a fancy drink at Starbucks and will liven up your room for weeks! Rather than getting so overwhelmed by the monumental task of refreshing your WHOLE house at once, break it up one step or room at a time. Focus on a few key areas in your spaces for seasonal changes. Rather than becoming overwhelmed in trying to redecorate all. the. spaces for each season, just choose a few key areas that are focal points that can be changed easily. 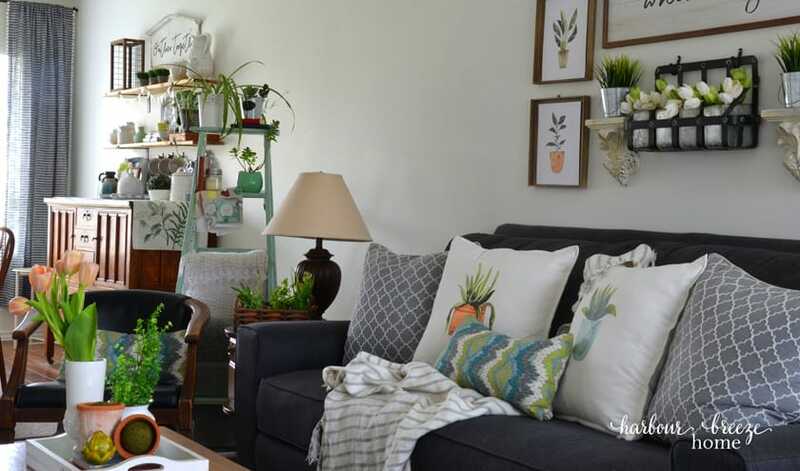 For a living room, it may just be the arrangement above the couch or throw pillows. In a bedroom, it might mean just putting on a fresh new set of white sheets. Choose what’s most important to you and stick with that. If you’re stuck for decor inspiration, observe what you like in the stores you shop at. This is a big thing for me. I just don’t have the budget to go out and buy all new things each season. (But, it’s totally fine if you do! ;)) However, it costs no money to observe the decor trends and pretty things in stores. You may see something similar that you love that reminds you of something you already have! Since it has a beautiful, fresh green color in it, I chose that as my accent color and incorporated pops of green throughout the room. 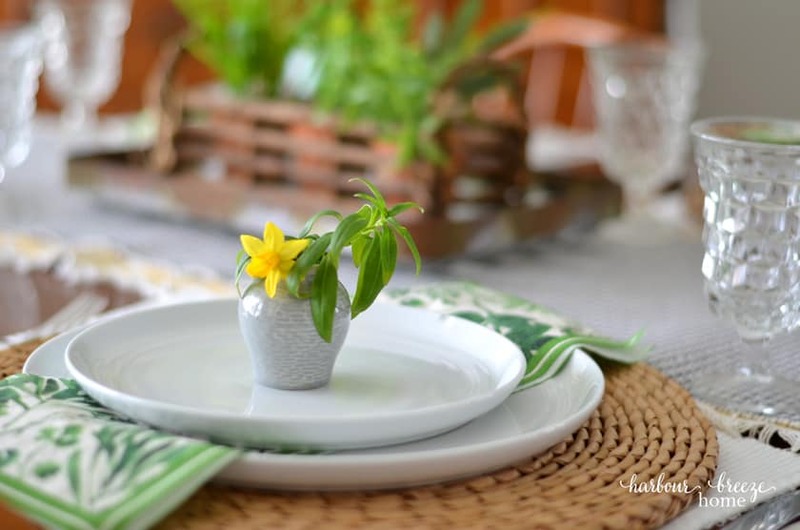 Aside from a few sprigs of greenery and 2 bunches of faux tulips from Micheals, everything used for the Spring refresh in the room were items already in my house. Thank you , DeeDee, I’m glad you like to spiff things up, too. It’s fun to make a space feel fresh again! 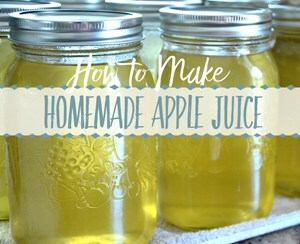 I am new to your site, having just discovered it a few weeks ago, and I am enjoying it so much! I agree that money is the big challenge when decorating my home. But I tend to do as you and pull out things that I had stashed away to bring back for enjoyment again. It works for me! Thanks for sharing your beautiful home with your readers. Welcome here, Edna! Yes, digging through the “old stuff” can feel like Christmas sometimes!! Love these tips! Your photography is so pretty! I love the tip about bringing out new things—it’s like shopping your home every day! 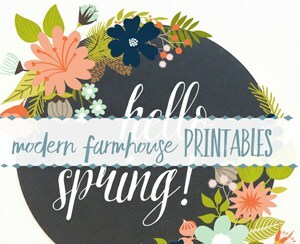 Great tips and tricks to bringing spring into our homes! So happy to have you at Homestyle Gathering, but even happier to call you my dear friend!